A riveting look into the world of James Bond and his creator, published on the centenary of Ian Fleming's birth. 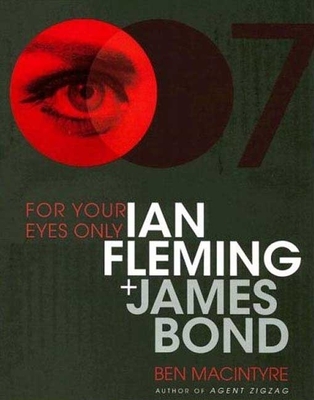 In "For Your Eyes Only," Ben Macintyre reveals where the world of Ian Fleming ends and the world of James Bond begins. Macintyre looks at the actual people on whom the writer based his fictional creations friends, colleagues, lovers, and, of course, the notorious villains. Exploring the tradition of spy fiction past and present, with specific attention to the Cold War, Macintyre explains how Bond was based on the realities and fantasies of Fleming's life as a wartime spymaster and peacetime bon vivant. Stylishly illustrated, "For Your Eyes Only" features a collector's dream of gadgets, costumes, props, and storyboards from the films Daniel Craig's bloodstained shirt from Casino Royale, the Aston Martin DB5, complete with weaponry as well as memorabilia from Fleming's personal archive: his smoking jacket, the manuscript for "Casino Royale," his golden typewriter, his guns, and much more. Ben Macintyre is a columnist and associate editor at the London Times. He has worked as the newspaper's correspondent in New York, Paris, and Washington. He now lives in London with his wife and three children. Agent Zigzag, the true story of a WWI double agent, was a recent Sunday Times bestseller.